Here we will show how to log in to Sansan for Mobile, and after confirming log in, how to make logging in easier with "Recommended settings". ■Email address log-in: Log in is done with two items, your email address and your password. 2. Automatically sending the log-in URL to your mobile phone or smartphone. 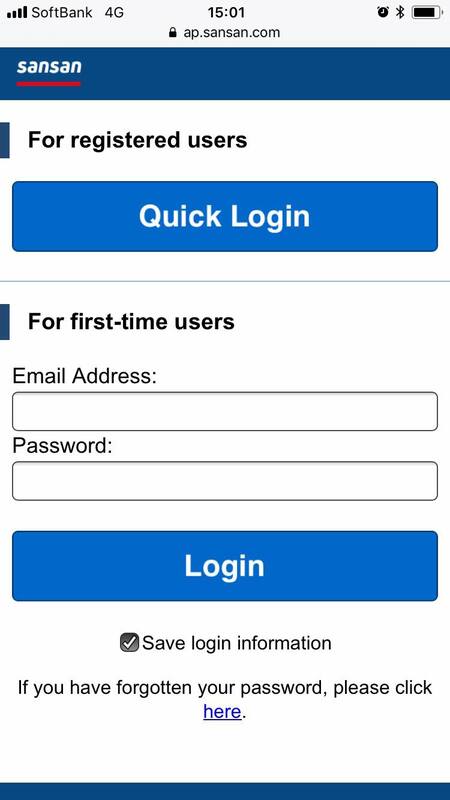 When you access the mobile log-in URL below, the screen above will be displayed. Input your email address and password, and then you can log in. A text message with the Log-in URL will automatically be sent to your mobile or smartphone. Recommended settings: After you check to see that you have logged in. 1. Register a bookmark on your browser for the log-in page.